I am so excited to share The DESIGN YOUR SHIP Program with you! As so many of you are looking to find your ideal clients or to create profitable online courses I created a step-by-step Online Mentorship Program with the purpose to connect you with your life purpose, learn to express your authenticity and build a successful business from your passion. DYS is not only a program, it’s a part of my own life. I offer here my journey of living a conscious life, the most valuable strategies and powerful tools that helped me and my clients to design a successful business. DYS is more than just a personal development program, it’s a tool of winning at life. I believe that being a conscious creator means feeling fulfilled and enjoying the lifestyle that you desire. I also believe that you have your own definition of fulfilment and DYS is a process that leads you through the main steps to define it and fully believe in it. As balance is an aspect of fulfilment, we offer you on-going support to align your actions to your purpose and celebrate your life every day! And it is not by magic, it’s by work! As all transformation journeys, the process starts with feeling a big calling to DESIGN YOUR OWN LIFE. Each step of the program brings you a deep awareness on the importance of living by design, finding meaning in your actions, celebrating excellent results and amazing connection. If we aim so high it means we commit to digging deep. We clear drama, resentments, regrets, rejections and hooks from the past in order to transform your perception and see the world through love. The process is healing the mind, body and soul and connects you to elevated emotions that naturally match the state of prosperity and bliss. Sometimes it takes time, sometimes it’s a matter of opportunity. What is the journey about and what are the steps of the program? There is a special power in understanding the true meaning of a relationship, as from the moment we are born our evolution is linked to the people around us. This program is allowing you to experience a strong connexion with your soul while learning to live with yourself. Also it guides you to a deeper connection with others, built on love, while avoiding any energy of manipulation. Our world transforms into the spiritual attitude of practicing virtues. At first, we get clear on the chapter called RELATIONSHIP. What’s the value of a day in which you feel you are only doing the right things and synchronicities guide your journey? Who are the people that got on board of your ship and how can you genuinely feel compassion, discernment and nobility in every interaction? Get aligned to your life mission and embrace a behaviour that gives rise to a beautiful state to the ones around simply through your presence! This module points up the most important relationship of our lifes, the one that differentiates a successful person from the rest in terms of lifestyle: the relationship with your inner being. The next step here is about understanding how we influence each other, how your friends and family impact your relationships. You’ll get to grow a strong feeling of protection and guidance. Clearing your past and cutting the duality crap allows you to transcend your inner critique and create your personal branding without taking anything personally anymore. Also, you’ll get to understand at a deep level how every relationship, from romantic to business ones, is actually a synchronicity, opportunities emerged from connecting to your authenticity, truth and love. This program has 2 modules, Design Your Style and Design Your Synchronicity. A simple ‘consequence’ of connecting with your inner being is that people will start noticing your changes and you’ll be a more powerful source of inspiration. How you lead your ship is a matter of operating daily from a space of gratitude for all that is. What is your LEADERSHIP style and how can you align it to fit perfectly into the practical aspects of your life? Isn’t it beautiful to know that you don’t need to change to fit in, that you only learn to accept yourself as you also understand yourself? The Leadership module brings up a connection to a higher purpose and tools to express it clearly. You’ll get a strong focus on the process of transforming lifes and you’ll get to apply this, by inspiring others through your journey. We talk about making decisions, influence, public speaking, copywriting, productivity traits and other tools of improving the way you express yourself and lead others. How will you speak, what will you think about yourself if you really realize that everything that you do has a consequence? How would you feel if your actions reflect perfect integrity and you follow your true spiritual path? This module also installs the word EFORTLESSLY by teaching you how to create systems that lead you to your objectives. You’ll get to install new habits and become aware of the connection between the systems inside your body, your mind and the outer world. The tools we use come from psychoneuroendocrinology and quantum healing and they will also improve your health and state of being. This program has 2 modules, Design Your Speech and Design Your System. How would you like to have a direct link to your higher self and build a business plan that is aligned with your mission and you effortlessly attract all the people and resources you need? Entrepreneurship is about taking the step into absolute faith and success. After truly owning our style and your flow it’s easy to find the best way that you can help and serve others. This module teaches you to transform your passion and ambition into a program and make a difference in the world. By being aware of the content of your thoughts you embrace the reality that entrepreneurship is actually an emotional journey. It teaches you to set intentions and release the resistance, self doubt, fear, anxiety and all those blocks that make you play small. In business terms you are more adaptable, flexible and also an excellent manager, with a strong focus on the dynamics of the markets. It’s easy to think that it’s too hard to sell your programs and mask the fear of failure. Some might think that one e-mail and call to action and everybody’s buying what you’re offering. Launching your business starts with having a proven formula. Together we’ll find out exactly who your ideal clients are and to engage them. You will be creating a minimum viable product, an experience in which you package your own formula for success and happiness. You learn how to sell it without sounding pushy or salesy and how to handle objections and create an experience where people love to buy. As you start making money and getting feedback through delivering your message you’ll gain even more confidence through raising your competence. How do you make sure you keep growing and serving others in a mind blowing way? The invitation to build a business from scratch turns ENTREPRENEURSHIP into a tool of personal development. Cash flow reports and project management tools won’t creep you out and your dedication to learn more about your clients and human psychology will enable you to become more productive, efficient and disciplined. As you witness the evolution of the people who tasted the experiences you created, you feel truly connected to your purpose. Ultimately, you live your desired lifestyle while you understand, feel and sense the bigger picture of life. This program has 2 modules, Design Your Seminar and Design Your Start-up. The opportunity is only valuable when it’s taken and transformed into a successful journey. Entrepreneurship is a long-term commitment and one of the best tools of living as a conscious creator and enjoying success and abundance. The 3 “SHIPS” are 3 mentorship programs with a large online curriculum, action plans, 1:1 coaching and energy clearing to cut the struggle and launch yourself to success. The strong focus on implementation makes you witness synchronicities and amazing opportunities, as you become more conscious of how you directly influence your life. 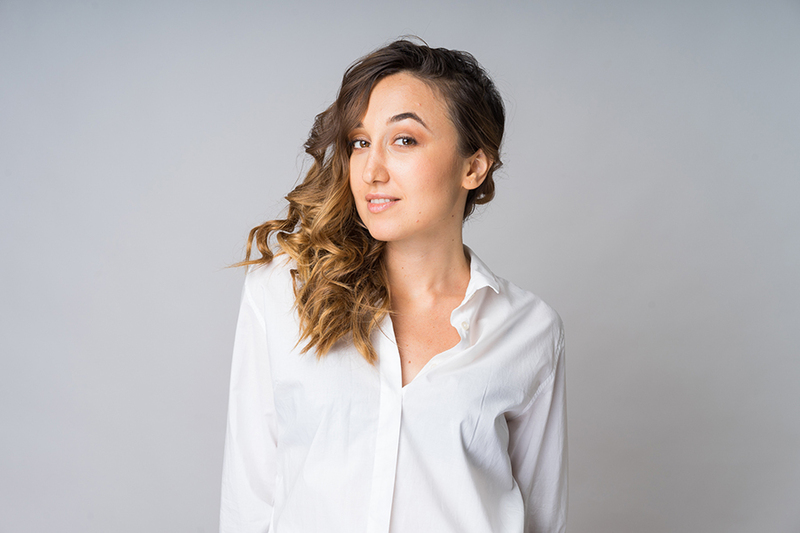 Connect to Andreea’s story by reading her interview. It’s full of details about how she works with clients and what’s the journey that brought her to design DYS. How can I guarantee myself that I will get more awareness and money from my start up in record time? Be totally committed to your success. Understand that this is a process, a proven one, that works if you take action and implement all of the steps. My clients who were present to all the sessions and did their „homework” got a new perspective on life. The focus on lifestyle correlated their dreams to the business world in much less time than they would have on their own. How much access will I have to Andreea? You will have an initial session with me to set you up for success throughout the program. Each program starts on the 1st day of the month and lasts 30 days. During the dates of the program you will have unlimited access to me via Messenger and we’ll have 4 personal coaching sessions (90 minutes) in which you’ll receive personalized coaching and energy clearing. I will not be training you during the calls, as all the material is online. The calls are to get you aligned and clear the limiting beliefs that block you from doing the work and enjoying life! You will also be in a private Facebook group with other conscious entrepreneurs to support each other. What if I can't make it to the coaching sessions? Once the program begins, we will set up the dates that work best for you. You just need to find 90 minutes for the session every week, as you can’t squeeze more than one in a week. I chose this as my intention is to create a relationship with you and clear the things that might pop up between the sessions. Also.. I need predictability in terms of time management. How long do I have access to the modules from the program? Each of the 6 modules lasts for 1 month and your access will be provided during the dates of the program. It’s not for those obsessed with control. The most important aspect of being an entrepreneur is embracing change and opening up to learning more and more about your ideal clients, the market, the economical general context and clearing up your obsessions. As giving up control is not a matter of ability, but one of motivation, I choose clients who are coachable, who want to do the work of cultivating values as acceptance and love as guides to making the change. The tools I use involve understanding intellectually the entrepreneurial world and also a lot of coaching and energy healing. In order to also enjoy my journey I’m very selective in who I work with and I cherry-pick my clients, choosing not to work with people who aren’t suited for my programs and won’t get the results for which they would have signed up for. From my experience, working with meditations and using the Theta Healing Technique on a regular basis transforms people’s lifes and their choices are much easily aligned with who they are. This doesn’t only make them be powerful and beautifully manage their state and life situations with grace, but develop an ability to resolve insane problems of their clients..even in winter time 😊 And that’s the biggest asset of an entrepreneur and of a what we call ‘LIGHT WORKER’. The Design Your Ship program is NOT for those who have no money coming in and are financially desperate, at least not right away. It’s been my experience that people in financial crisis do not do the work. This probably happens because they spend so much time worrying about how they are going to pay “the rent and chips” and the survival emotions that therefore show up in this chapter don’t allow them to keep themselves in a creative mindset to follow the steps I am giving them. If you fall within this category, it’s absolutely OK! I recommend you to Sign up for the free e-mail newsletter. The free information will get you started towards your goals until you’re ready to work with me one-on-one. Is this ONLY for coaches? Absolutely not! If you want to serve others in the online space in a way that feels authentic and intuitive, this is for you! I’ve worked with coaches, social media managers, brand designers, virtual assistants, shop owners, and more! What if my business is still just an idea? Guess what? I launched my business without a website in place and without a clear concept. I had mentors and I was guided on how to grow it into a sustainable business. I believe the same is possible for you. I am here to give you clarity, most of all. What if I already designed my offerings, packages or programs? Is it still relevant to me? Yes! If you already have all of that, but you’re still not having clients or you’re not enjoying the process, then something is missing! Let’s work it out together!